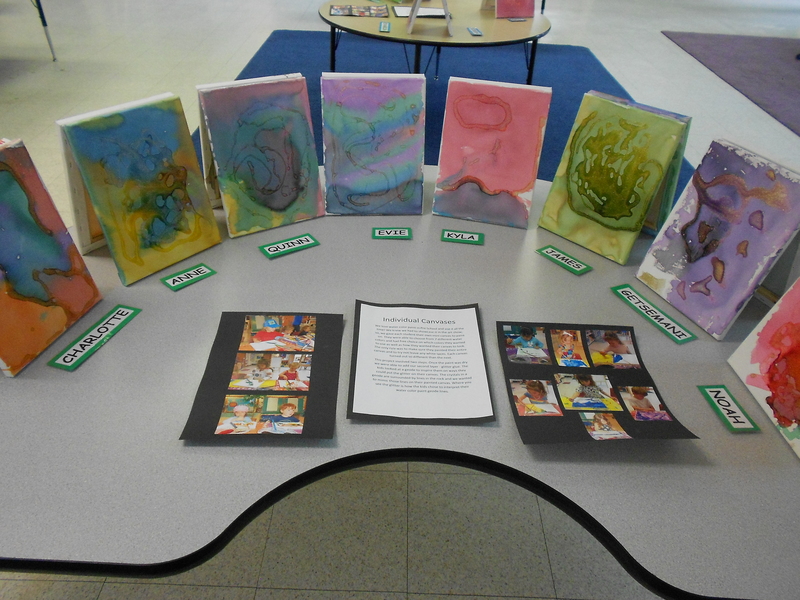 Each year our Art Show tends to get bigger and brighter, even though we think we can’t possibly out-do ourselves from the prior year. 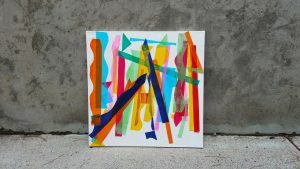 2018 was no exception, as we were finding blank wall space to hang extra canvases 30 minutes before we opened the door, but everything found a home and looked beautiful. 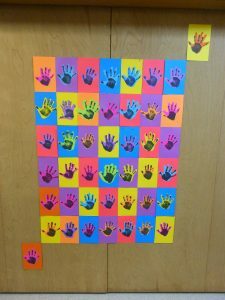 Our teachers are Pinterest Queens and know that they can find any project that they’re interested in and we’ll figure out a way to make it work for our age group. 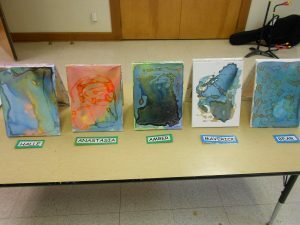 Part of what makes our Art Show so successful each year is simply that we use quality art supplies in all of our creations. 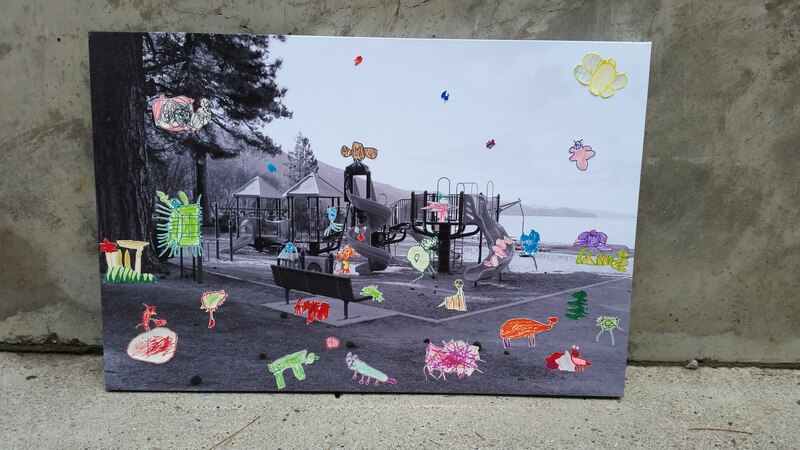 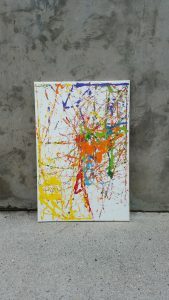 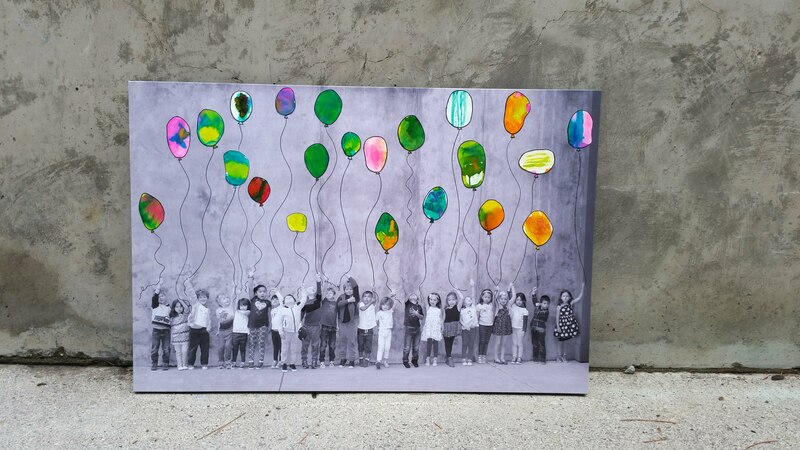 Kids ARE capable of making stunning and archival artwork just by using the proper materials. 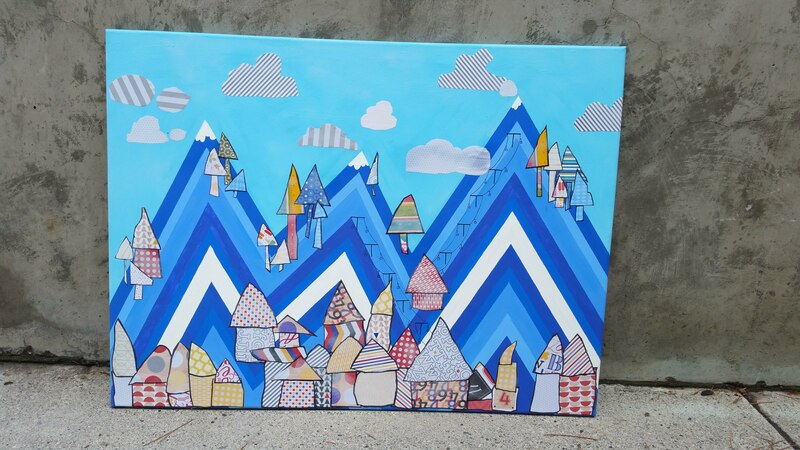 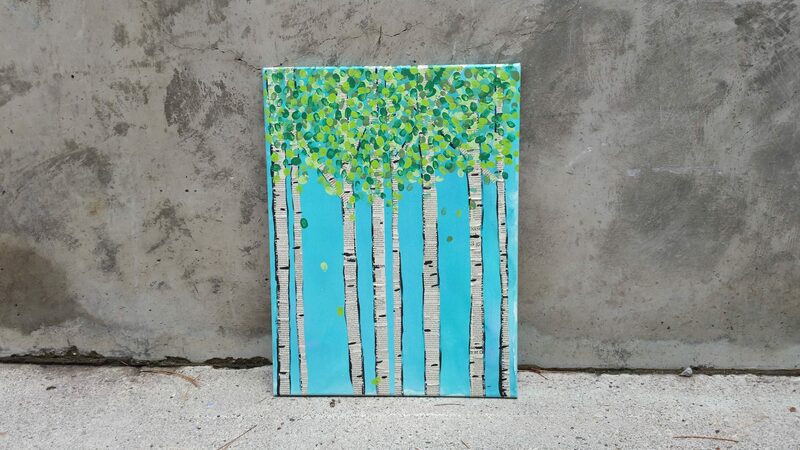 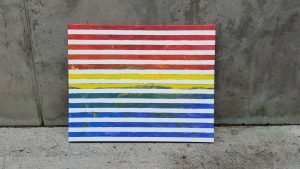 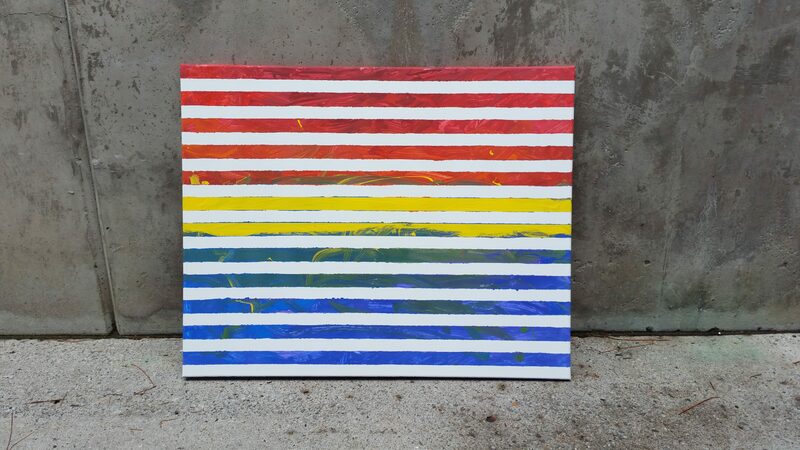 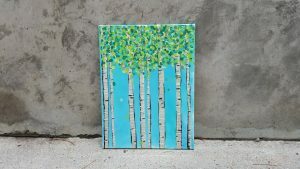 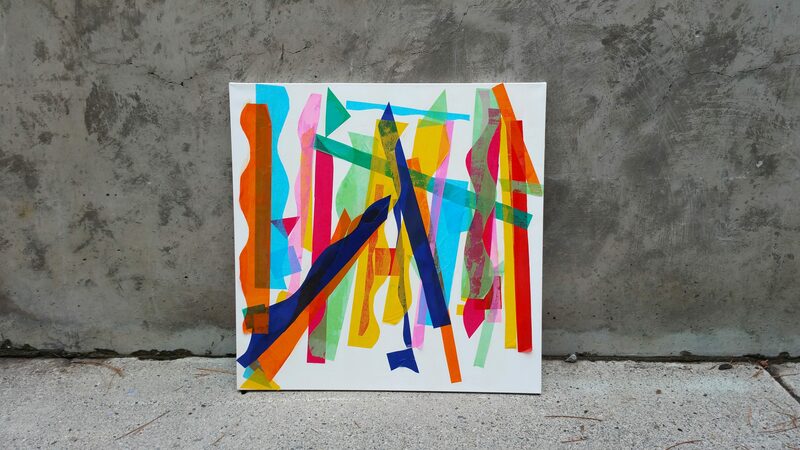 We purchase real canvases, quality watercolor paper, adhesives, acrylic paints, and Krylon clear coat (just to name a few) that enable us to get such clean and vibrant colors with such fantastic results. 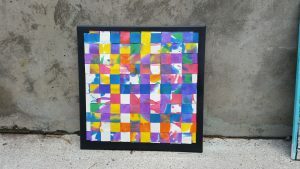 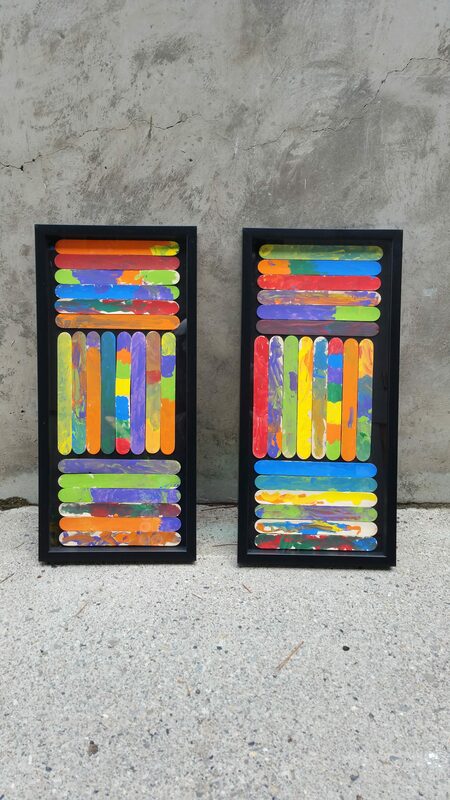 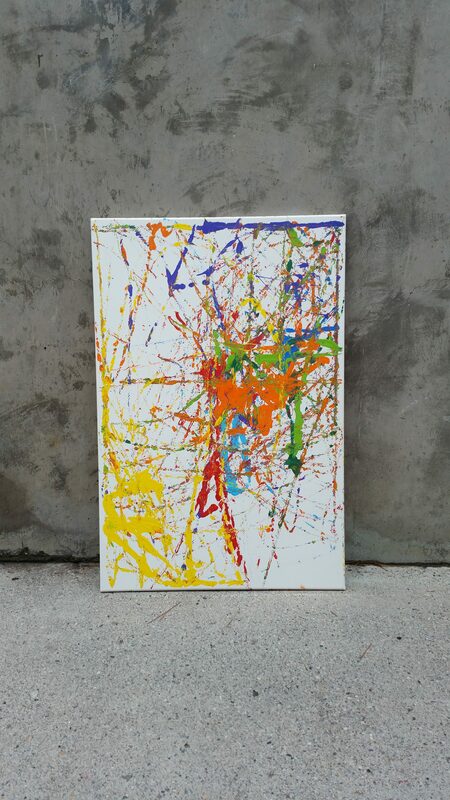 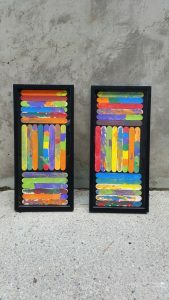 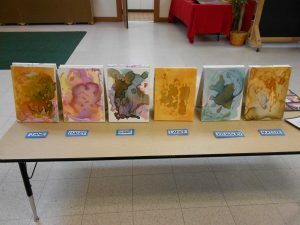 You too can make amazing art with your preschoolers if you can find the extra money in your budget to purchase real art supplies. 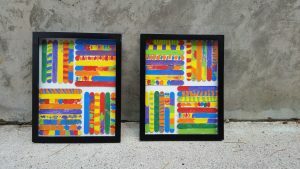 If you can have silent bidding sheets up for all of your group-made pieces, then you’re guaranteed to at least recover the money spent on supplies. 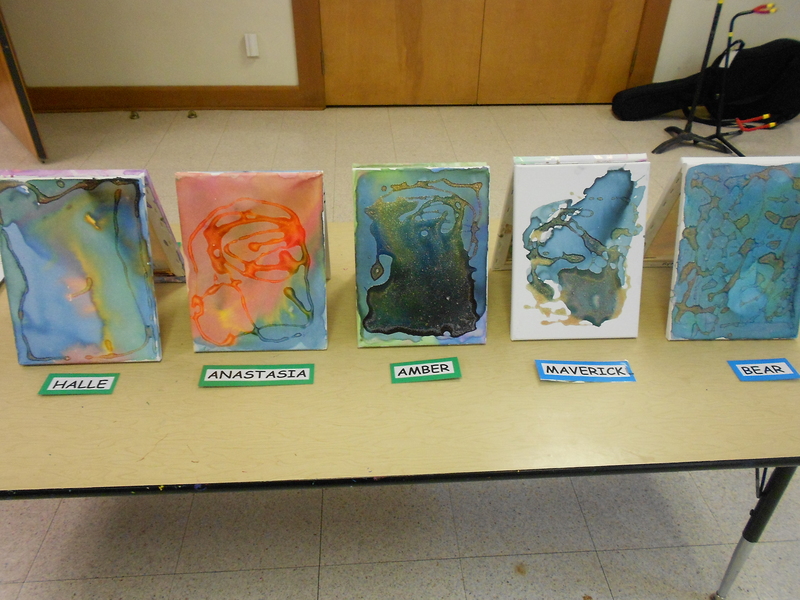 Our Art Show brought in more than $3000 dollars this year, all of which went directly back into our classroom for new supplies, toys, and manipulatives. 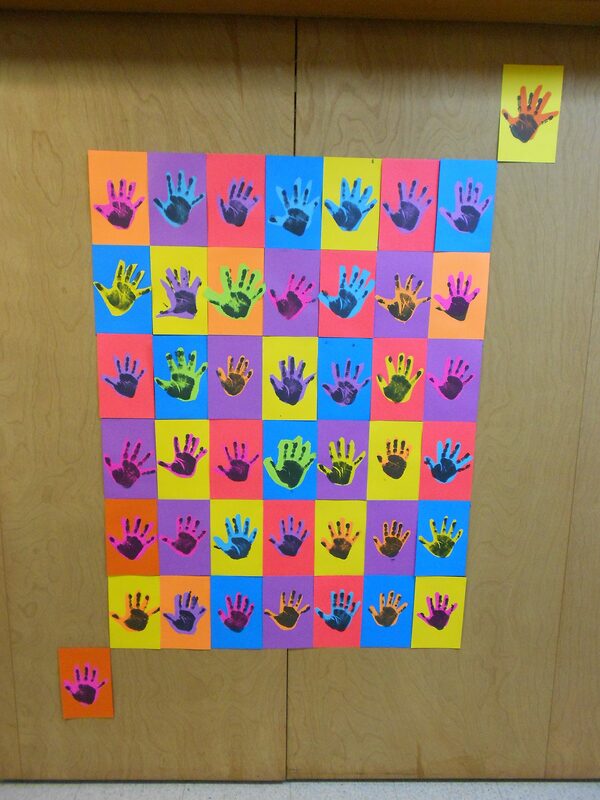 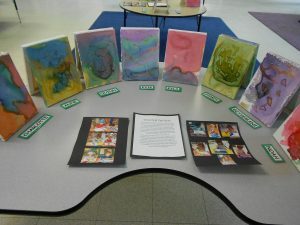 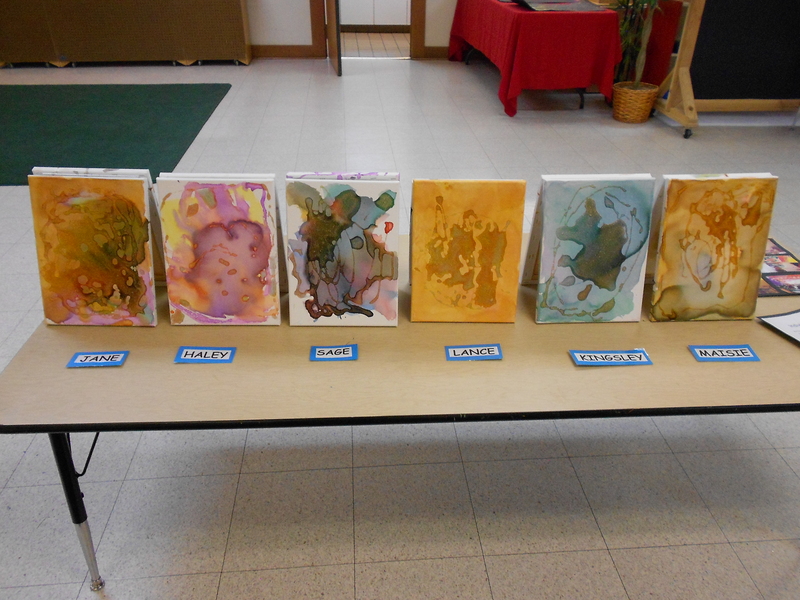 All of these projects were created with children ages 3-5 years old! 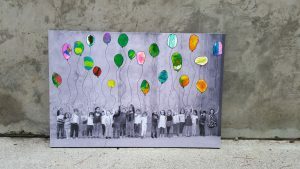 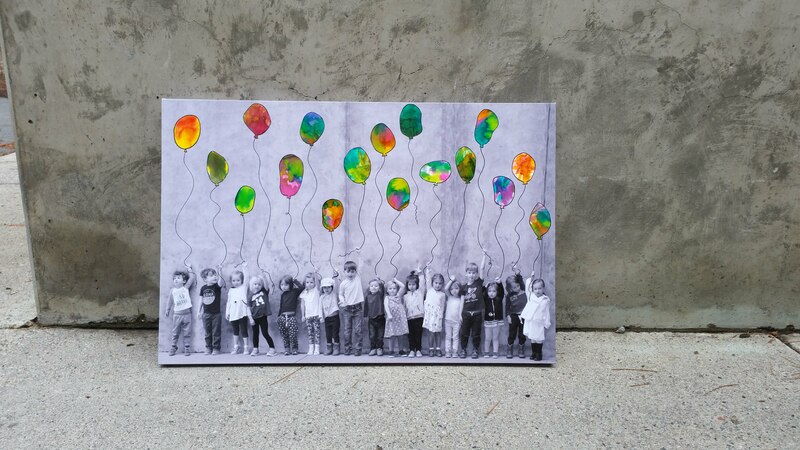 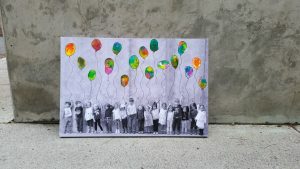 Balloons and B&W Photography – 36×40″ photo canvas, paper, watercolors, Mod Podge, glue. 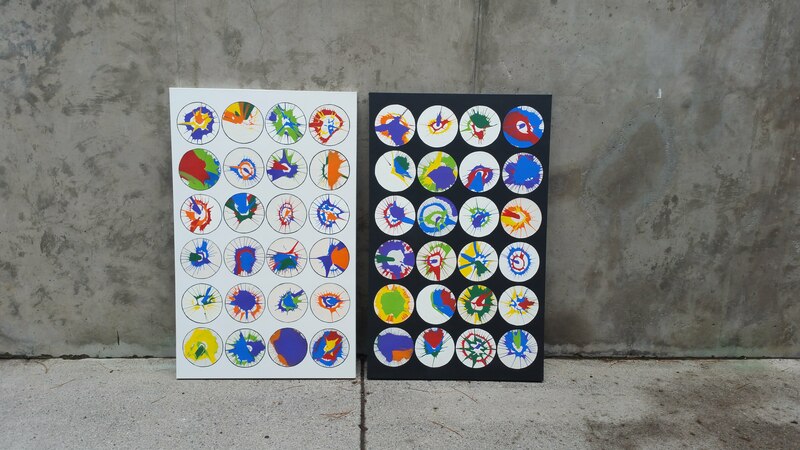 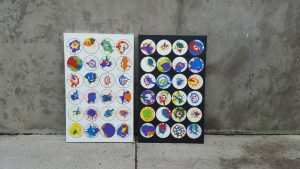 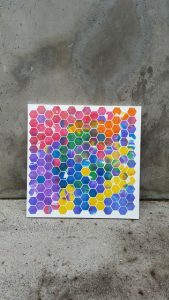 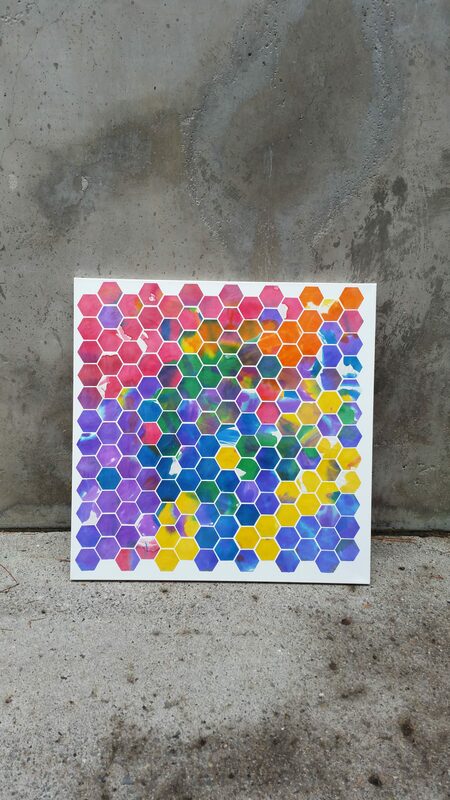 Opposing Spin Art – each student made their own spin art inside of a salad spinner (acrylic paint & watercolor paper), and then they were adhered to a giant canvas based on class groups.